“Delivering Food Boxes to someone who is home-bound is personal. I get to bring a smile and fresh food to their door. I can see it lift their day and spirit. It certainly lifts mine!" Like helping your neighbors and drinking beer? Here's a fun team-building opportunity for you! Assemble a team of 6 to 10 friends or colleagues. Together, we have distributed more than 11,400 meals through Pack & Pints! Help us fight hunger in Northwest and Downtown Portland. Our organization thrives because of the hard work of committed volunteers. We would love to have you join our amazing, dedicated team! If you are interested in joining our team, fill out a Volunteer Application, or contact our volunteer coordinator Teresa. ​She can answer any questions you may have and help figure out the best fit for you. Use our van or your own large capacity vehicle to pick up hundreds of pounds of high quality and healthy food from a donor in NW Portland. 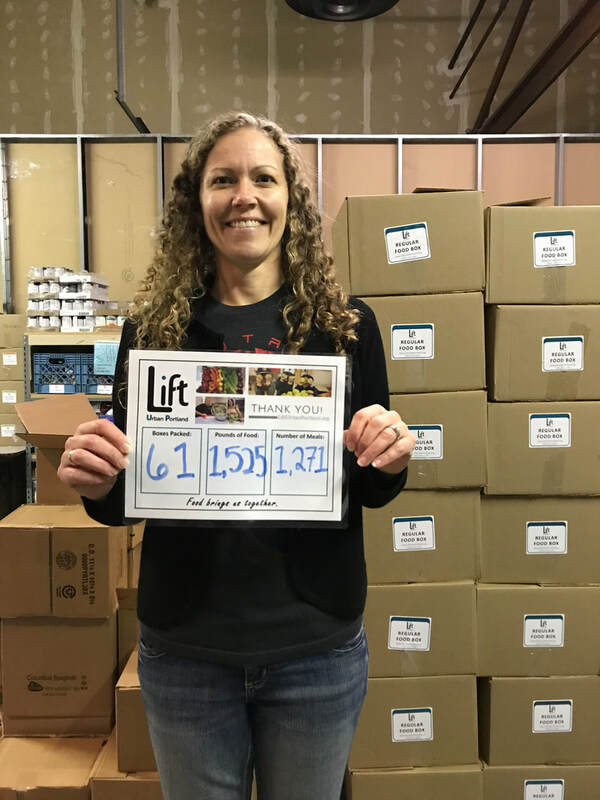 Deliver the food to our warehouse to help sort, weigh, and organize the food it. This requires a lot of lifting. 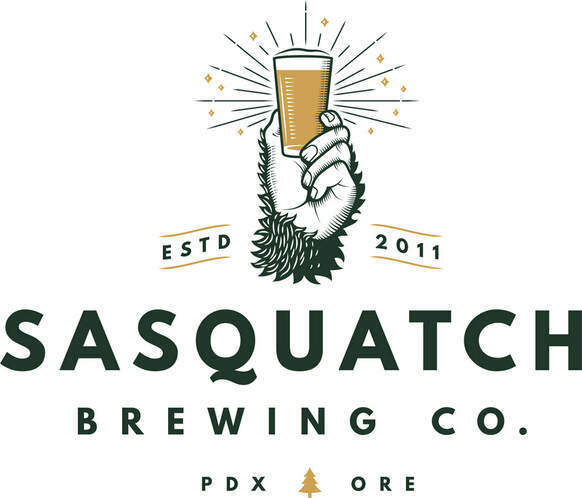 May include another delivery to our pantry in NW Portland. Mondays, Wednesdays, or Thursdays 10:00am -12:30pm. 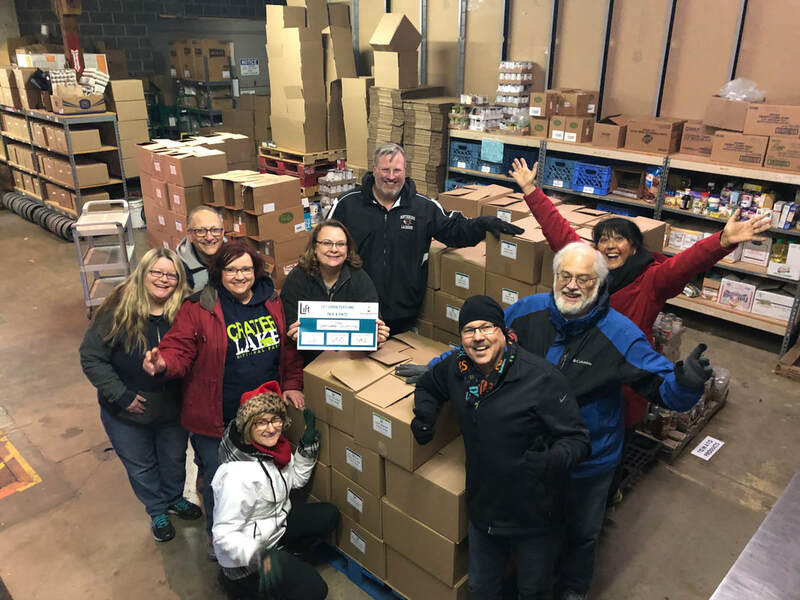 Assist in unloading our van, help weigh and sort hundreds of pounds of high quality food, and then organize and stock it. This requires a fair amount of lifting and is great for a detail oriented, organized person! Hours are flexible. Drive the Lift UP van to our warehouse and pick up pantry stock, then drive to New Seasons to pick up gleaning. 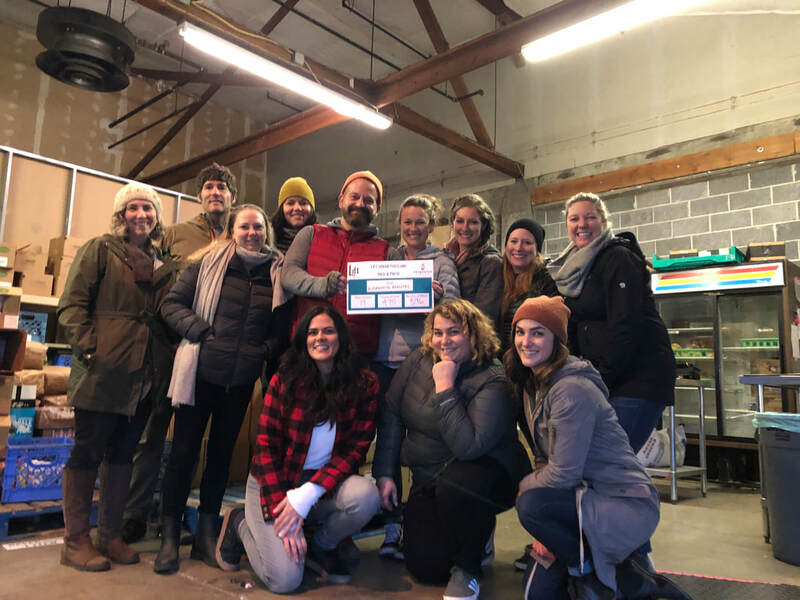 Deliver the food to the pantry in NW Portland. Tuesdays 8:00am - 10:00am. 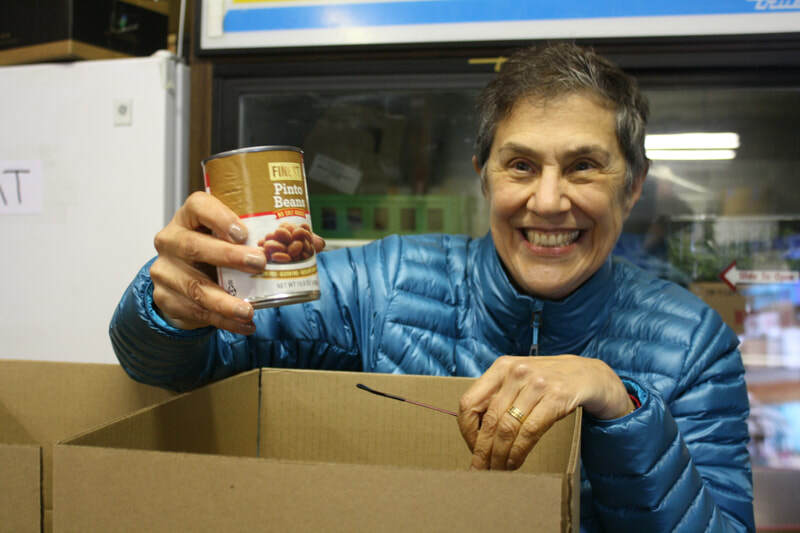 Deliver food boxes to housebound or disabled neighbors in NW and downtown Portland. Must be able to lift and carry. Tuesdays, Wednesdays, and Fridays 11:00am -1:00pm. Cook and eat with residents in low-income housing in NW Portland. You don’t need extraordinary cooking skills, just an interest in cooking and a willingness to help the residents. This is a great opportunity to help build community within the buildings and build meaningful relationships with the residents. Unload food, stock shelves, help customers 'shop', preparing food boxes & cleaning. Volunteers should be able to lift/move heavy bags & climb stairs. Mondays 11:30 - 1:30, Tuesdays and Fridays 9:30am - 2:00pm and Thursdays 4:30 - 7:30pm. Prepare and hand out samples of healthy recipes at Preston's Pantry. Unload, prep, sort & distribute over 2,000 pounds of fresh produce to neighbors. Good for groups! Second Wednesdays 6:30am - 11:00am. Answer phones, maintain database, make calls, organize paperwork, and perform computer tasks. Hours are flexible. Plan community outreach events; interact with neighbors at concerts, festivals, farmers' markets, churches and synagogues; take pictures to post on social media. Hours are flexible. Lift Urban Portland helps coordinate volunteers for some of our partner organizations. Collect donated food from participating neighbors once a month and bring it to a drop-off location in SE Portland. ​Click to learn more and sign up. The Foot Patrol walks the streets of the Pearl to deter crime as well as reporting on suspicious behavior, graffiti and people who may need help.